Dutton Books for Young Readers, 9780525478973, 32pp. If we are what we eat, Americans are hot dogs. We ate them on the way to the moon and served them to the king of England. We name a Hot Dog Eating Champ! Garnished with hilarious illustrations and amazing "foodie" facts, this kid-friendly, globe-spanning history of our favorite fast-food meal offers unique insight into America's multicultural heritage. 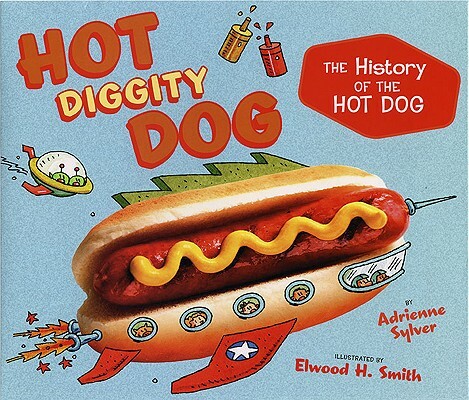 From a hobo's franks-and-beans to astronaut food, there's more to the wiener--and what's for dinner--than you think. Adrienne Sylver grew up in Ohio, where she rooted for the Cleveland Indians and learned to appreciate a good stadium hot dog. A reporter, she lives in Miami with her family. Elwood H. Smith studied art at the Chicago Academy of Fine Arts and now lives with his wife in Rhinebeck, New York.